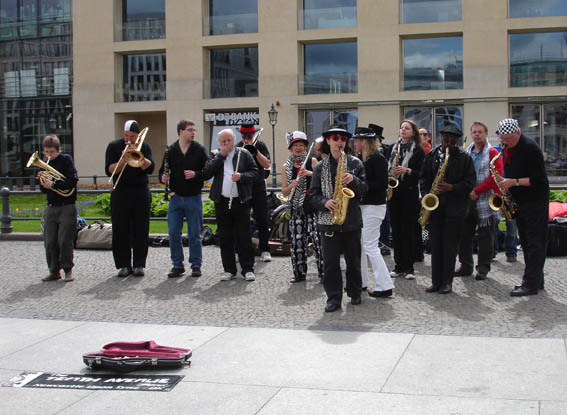 Tenth Avenue Band has performed at festivals and street band gatherings all over the world, including events in France, Germany, Czech Republic and Ireland. We also perform all over the UK. Please contact us if you would like to book us for your event. Tenth Avenue Band is probably most at home playing outdoors and on the street, for anyone who will listen! Stationary or marching, we can liven up any event. Look out for us performing and come and say hello if you do see us. Here we are busking at the Brandenburg Gate in Berlin!